Channel 5 has announced the new faces of the Football League highlights show, Football League Tonight which launches on Saturday 8th August at 9pm. 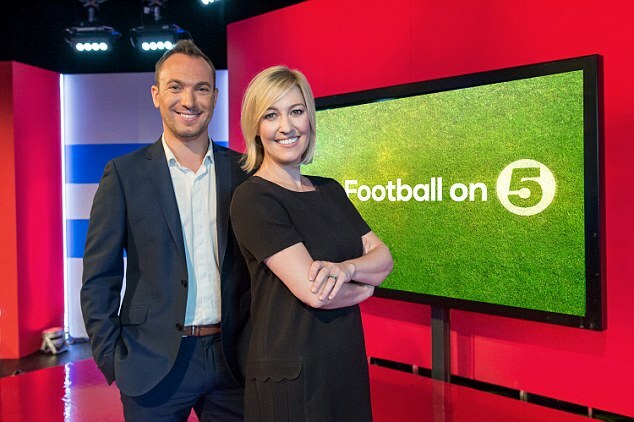 Kelly Cates and George Riley will be the new sports duo bringing you every goal from all three divisions of the Sky Bet Football League from 9pm every Saturday of the season on Channel 5. Each show will feature extended coverage of that weekend’s best matches and will include every single goal from all three divisions. Players, managers and fans will also be encouraged to join them in the studio each week, or take part in the conversation via Skype and Facetime. With Kelly’s 50,000 Twitter followers and George’s 30,000 the presenters will be able to engage with viewers direct and join the weekly debates from the studio. Viewers can also use the handles @footballon5, #footballon5 and also catch up on Demand 5 on multiple platforms.